FILE PHOTO : Korean Air Lines Chairman Cho Yang-ho arrives at a court in Seoul, South Korea, July 5, 2018. 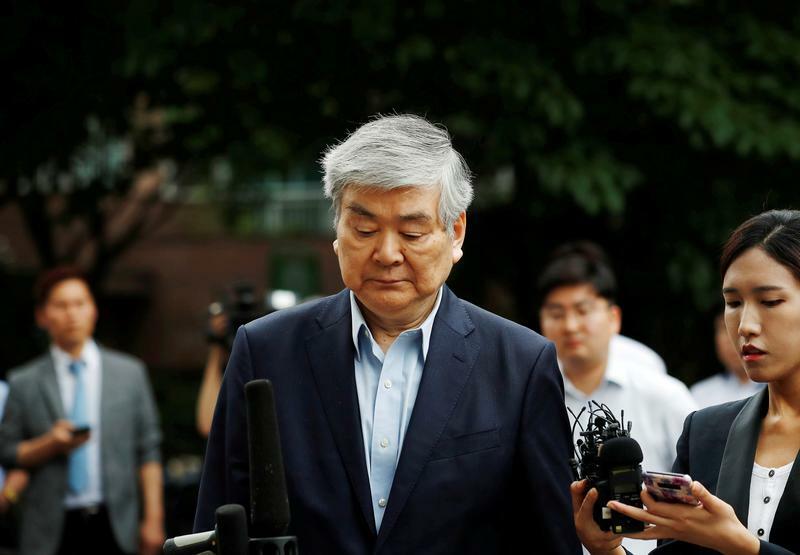 Cho Yang-ho, the chairman and chief executive of Korean Air Lines, has died in the United States from a chronic lung condition, the company said on April 8, according to Reuters. He was 70. Shareholders of South Korea’s largest airline carrier voted to remove Cho from the board on March 27. Cho, who was also chairman of the broader Hanjin KAL holding company, was on trial on charges of embezzlement and breach of trust. Shares of Hanjin KAL, which owns a 25 percent stake in the airline, gained 21 percent to 30,400 won in mid-morning trading in Seoul on April 8. Korean Air shares rose 4 percent to 33,300 won.